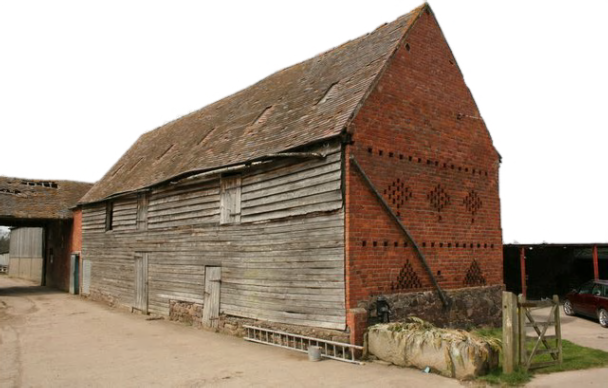 This is an interesting barn, probably built in the seventeenth or eighteenth century. It has a timber frame, with clapboard cladding on the sides and brick gable ends. The gables have the traditional diamond pattern ventilation holes plus stringer lines of ventilation holes. Inside it is of post and truss construction with queen-post trusses supporting double purlins on each side. 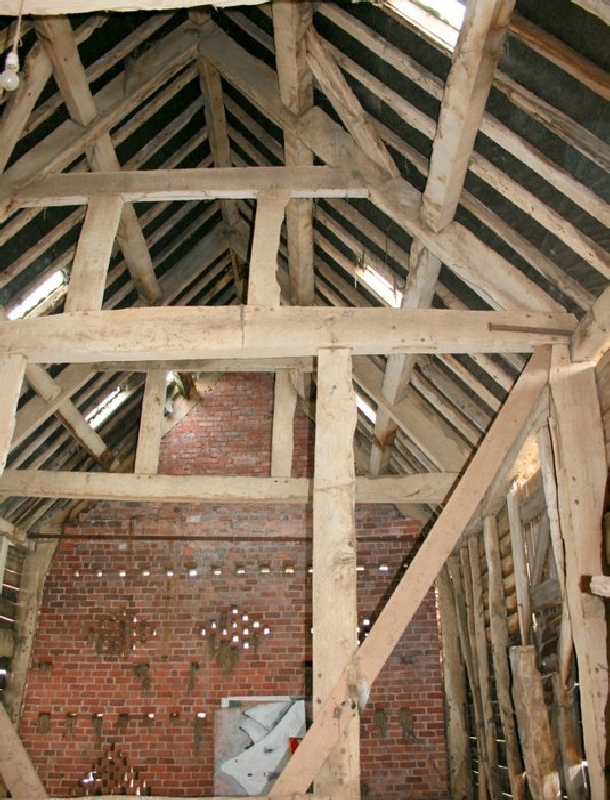 It is quite possible that the gables are a later modification of the post and truss construction.